Our Valpola wines are created in a similar style to wines made in the renowned winemaking region of Valpolicella, in the province of Verona located in a cool valley of northern Italy. The local grapes used to make wine in this region are typically Corvina, Rondinella and Molinara. 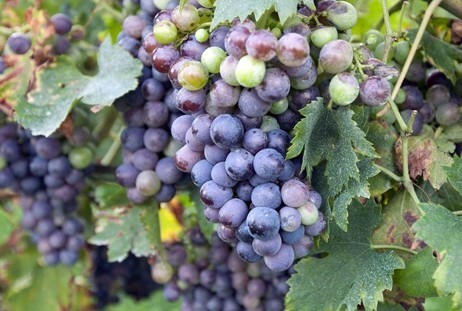 Corvina is generally regarded as the finest and most traditional of the three grapes. Italians have been making Valpolicella style wines since before the time of the ancient Greeks. Valpolicella style wines tend to be light to medium bodied, bright red in colour, with aromas of blueberries and bananas, and tangy, fruity flavours. They are well known for their distinctive ‘sour cherry’ notes that are also found in many other northern Italian style red wines. Stylistically, Valpolicella is often compared to Beaujolais wines in France. They are enjoyable at room temperature but are often served slightly chilled. Valpola wines are considered to be food friendly table wines. They provide crisp acidity that can stand up to almost any plate of food, especially if there is tomato sauce. Serve them on pasta night with a rich tomato based sauce and meatballs. Chill Valpola for a few minutes just before opening to bring out their best flavours. Valpola makes even simple, everyday meals special.